In Minnesota, we love our chicken. And over the years, we’ve perfected our fried variety. From classic bars to cozy restaurants, the North Star State is offering up an excellent variety of fried chicken options. Here are some of our favorite places to get the just-right combination of crispy, juicy, and delicious deep-fried chicken in Minnesota! Now with a second location in St. Paul, Revival is the fried chicken heavyweight in Minnesota. Southern-style and buttermilk delicious, the Tennessee fried chicken from chef Thomas Boemer is pretty much unparalleled. 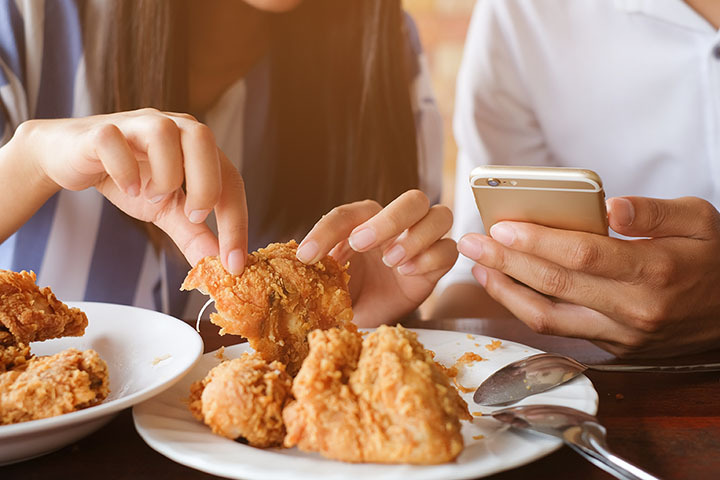 We could list the fried chicken at the Corner Table, Boemer’s other establishment, as well, but that would put everyone else at a considerable disadvantage. In the past couple years, Minnesota has discovered Southern-style cooking, and the fried chicken is no exception. The Handsome Hog is case in point. Although their food is pork-centric, their take on chicken and waffles—a California invention—is more Lousiana than Los Angeles. As good as the waffles are, the chicken is the star of this show. A brand new entry in Rochester’s regional food scene, Porch and Cellar offers residents of the region “proper fried chicken,” served with housemade buttermilk biscuits, local honey butter, and lemon. We certainly don’t dispute the propriety of this fried chicken and certainly welcom the golden-crisped goodness to the Rochester’s restaurant repertoire. So BLVD Kitchen & Bar doesn’t exactly have fried chicken in the traditional sense, they simply have some of the best chicken tenders in the state. The start with whole chicken breasts, sliced and breaded in house, and then fried to crisp, golden perfection. Once you have the tenders at BLVD, you’ll wonder why you bother with bones at all. The Rabbit Hole specializes in whimsical Korean fusion, and their take on fried chicken occasionally changes but is consistently delicious. Whether it’s the KFC (Korean fried chicken) or Winner Two Point Oh, which is buttermilk fried chicken strips, either as-is or tossed in a sauce, you won’t be disappointed with the Rabbit Hole’s take on this classic comfort food. Randy’s Restaurant in Red Wing is a classic small-town restaurant with traditional American fare, like fried chicken. And Randy’s does fried chicken exceptionally well. Whether you’re looking for whole pieces of the bird or only perfectly-fried tenders, Randy’s can pack your plate with plenty of poultry flavor. Sister restaurant to the nationally-recognized Butcher & the Boar, 4 Bells specializes in American—and particularly Southern—comfort food. A prime example of this cuisine is their Southern Fried Chicken, served with honey lavender butter, Delta sauce, and watermelon hot sauce. Get extra biscuits if you must. Viewers of WCCO, the CBS affiliate in the Twin Cities, gave Carl’s Corner the nod for the best fried chicken in the state. And they’re probably not exaggerating. In a town with a population of less than 75, Carl’s serves more than 150 dinners per night and most of them are chicken. Their secret? They marinate the chicken overnight before dusting it and frying it to order. Plenty of people make the trek to this town outside New Ulm for the chicken—you may want to do the same. While full-on fried chicken is not really a thing at Monte Carlo, their legendary wings make this list because we wish they’d cook an entire chicken in the same way that they work their wings. Their crisp, spicy chicken wings (note the touch of cinnamon) are big, juicy and delicious. Many folks will tell you they’re hands-down the best chicken in the state.